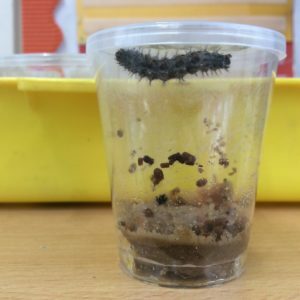 As part of their topic on ‘Minibeasts’ Year R have been read ‘The Very Hungry Caterpillar.’ Some very hungry caterpillars have arrived in Reception. 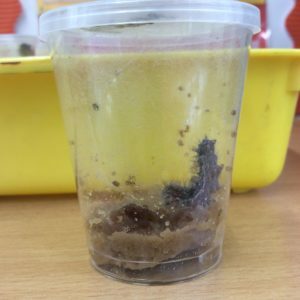 They are growing bigger everyday! 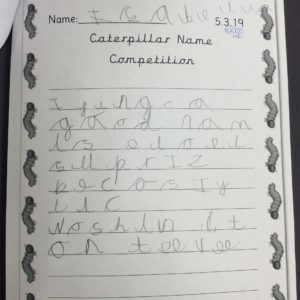 Lots of children chose to take part in the ‘Caterpillar Naming Competition’. 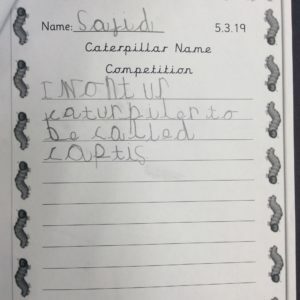 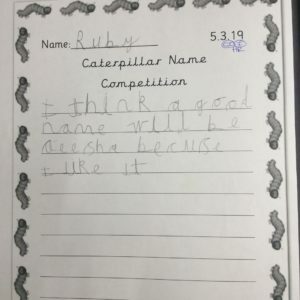 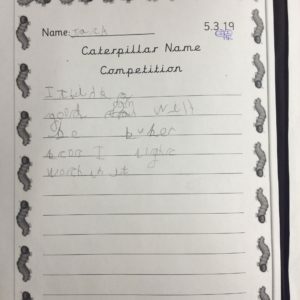 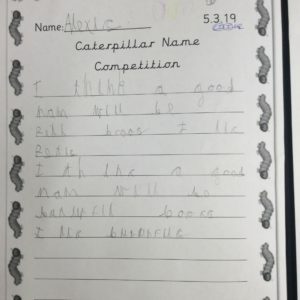 The children chose to independently write sentences about what they would like the caterpillars to be called. 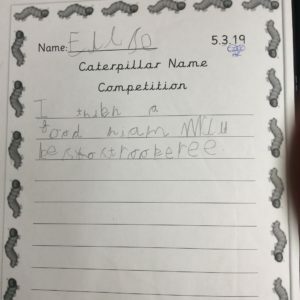 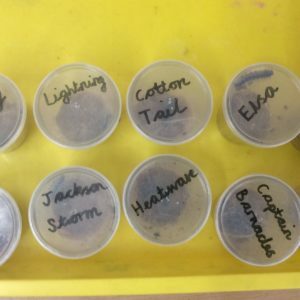 Entries were drawn at the end of the day and we now have caterpillars named Milly, Petal Butterfly, Captain Barnacles, Bubba, LOL Surprise, Lightning, Jackson Storm, Elsa, Cotton Tail and Heatwave.